Hotel Heritage Palace Varos, Split, Croatia - Lowest Rate Guaranteed! A stay at Heritage Palace Varos places you in the heart of Split, within a 5-minute walk of Croatian National Theater and Marmontova Street. 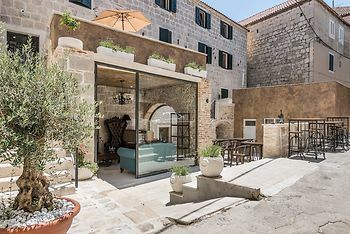 This 4-star hotel is 0.7 mi (1.1 km) from Marjan Hill and 1.3 mi (2.1 km) from Museum of Croatian Archaeological Monuments.